Years ago, an object resembling an astrolabe was pulled from the wreckage of the Esmeralda, a Portuguese ship that was lost to the Indian Ocean in 1503, notes the BBC. Scanning technology recently revealed that it is, indeed, an example of the direction-finding tool once used by mariners and the oldest one known to date. “When the team found the object, no markings were visible – they believed it was an astrolabe, but they could not see any navigational markings on," a University of Warwick release about the discovery notes. 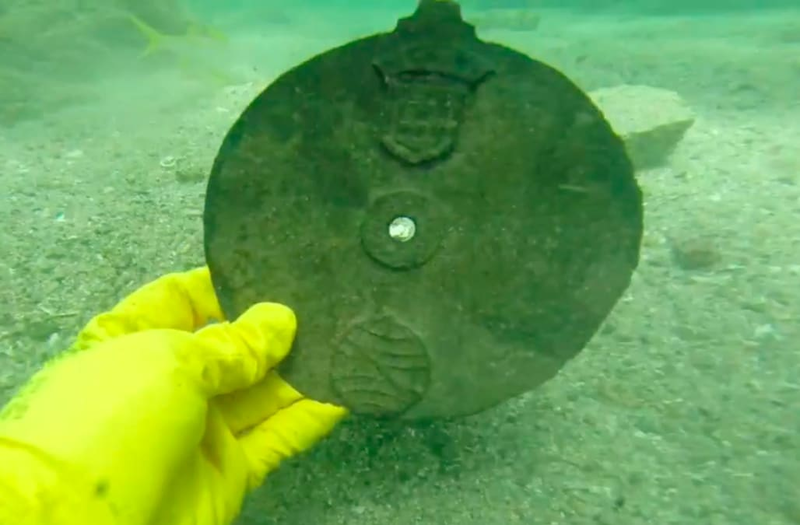 Years ago, an object resembling an astrolabe was pulled from the wreckage of a Portuguese ship that was lost to the Indian Ocean in 1503, notes the BBC. It was forwarded to Mark Williams, a university professor known for his prowess in the arena of scanning analysis, and he was able to uncover evidence that the bronze artifact had been etched with the markings necessary for determining one’s path based upon the placement of the sun. That combined with other information, including the personal emblem of then-Portuguese king Don Manuel I and knowledge of when the ship had gone down, resulted in a creation date range of 1495-1500. “It rolls back this history by at least 30 years - it adds to evolution, it adds to the history, and hopefully astrolabes from this period can be found," David Mearns, one of the researchers, told the BBC.